Harris, Carolyn. "Jonathan McCully". The Canadian Encyclopedia, 28 September 2015, Historica Canada. https://www.thecanadianencyclopedia.ca/en/article/jonathan-mccully. Accessed 20 April 2019. Jonathan McCully, senator, politician, journalist, lawyer, teacher (born 25 July 1809 in Cumberland County, Nova Scotia; died 2 January 1877 in Halifax, NS). Jonathan McCully, senator, politician, journalist, lawyer, teacher (born 25 July 1809 in Cumberland County, Nova Scotia; died 2 January 1877 in Halifax, NS). Jonathan McCully was a strong advocate of Confederation in the Nova Scotia press from 1864 to 1867, writing pro-Confederation editorials for the Halifax Morning Chronicle and Unionist and Halifax Journal. He attended the Charlottetown Conference and the Québec Conference as part of the Liberal delegation from Nova Scotia. 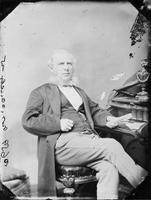 After Confederation, McCully became a senator and a judge of the Nova Scotia Supreme Court. Jonathan McCully was born on his family’s 60-hectare farm in Cumberland County, Nova Scotia, the fifth of nine children for Samuel McCully and Esther Pipes. He attended a local one-room schoolhouse, teaching there between 1828 and 1830 to earn the necessary funds to study law. One of McCully’s students was Charles Tupper, the future premier of Nova Scotia (1864–1867). Following a five-year apprenticeship, McCully was called to the Bar in 1837 and opened a law office in Amherst, Nova Scotia. In 1842, McCully married Elizabeth “Eliza” Creed, a Haligonian woman almost 10 years his junior, at St. George’s Anglican Church in Halifax. They had three children: a son, Clarence, and two daughters. The family settled in Halifax in 1849. Jonathan McCully became a political journalist and supporter of the Liberal party from 1837 and, in addition to his legal career, was a prolific writer and editor. He began to write for the Acadian Recorder and became editor of the Halifax Morning Chronicle by 1857. After he was fired from the Morning Chronicle for his pro-Confederation views in 1865, he bought the Morning Journal and Commercial Advertiser, renamed it the Unionist and Halifax Journal, and continued to write in support of Confederation. Trains run when I want ’em to run. And toot when I tell ’em to toot. 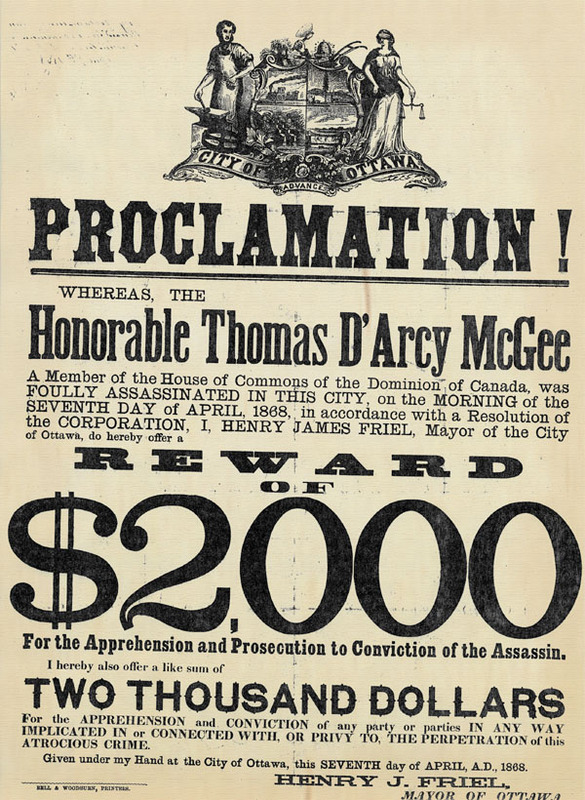 Sir John A. Macdonald rewarded Jonathan McCully for his support of Confederation with an appointment to the Senate, which he held from 1867 to 1870. While in the Senate, McCully was Chair of the Select Committee on Rupert’s Land, Red River and the Northwest Territory during the Red River Resistance in 1869. 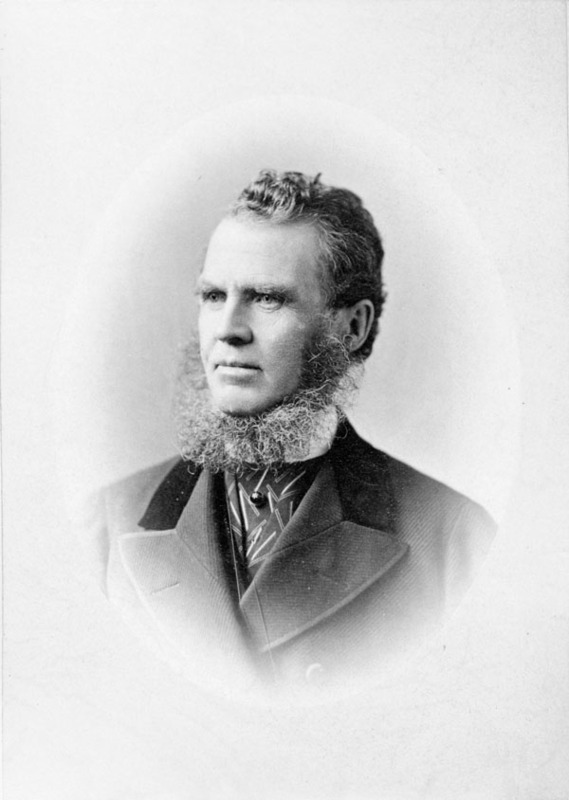 In 1870, McCully was appointed puisne judge on the Nova Scotia Supreme Court, which brought him favourable public opinion for his role in clearing the backlog of cases efficiently. He died in 1877, at the age of 67, leaving a substantial estate of $100,000. Jonathan McCully’s career demonstrates the influence of political journalism on Confederation. His editorials and standing within Nova Scotia’s legal community contributed to a shift in public opinion in favour of Confederation.